A native of southeastern Pennsylvania, Barry L. Friedberg, MD, came to Palo Alto, California in 1975 to complete his formal education with an anesthesia residency at Stanford University, working with cardiac transplant surgical pioneer Norman Shumway, MD. Following his residency and successful completion of his board certification examination, Dr. Friedberg was elected a diplomate of the American Board of Anesthesiology in 1980. He has made Southern California his home since 1980, working at Hoag Memorial Hospital Presbyterian in Newport Beach, CA, until 1991. Always an innovator, before joining Hoag, Dr. Friedberg introduced their anesthesia staff to the Dinamap in l979, an automated blood pressure device that many thought was futuristic (and superfluous) but is now a well-established way of determining patients’ blood pressures. Dr. Friedberg was also an early adapter of pulse oximetry in the mid-1980s, and encouraged the hospital to purchase the technology before it was deemed a standard of care. At Hoag, Dr. Friedberg practiced the subspecialty of cardiac (open heart) anesthesia for five years until turning his professional attention to outpatient surgery for four years at Hoag’s James Irvine Surgicenter. Moving from an institutional outpatient setting to the office-based one was a natural growth in Dr. Friedberg’s career. Since 1992, he has practiced exclusively in the subspecialty of office-based anesthesia for elective cosmetic surgery. Because of the unique challenges in the office based setting, Dr. Friedberg saw a need for education of his hospital based colleagues who might choose a path similar to his own. Accordingly, he founded the Society for Office Anesthesiologists (SOFA) in 1996 that he merged in 1998 with the Society for Office Based Anesthesia (SOBA), another non-profit, international society dedicated to improving patient safety through education. 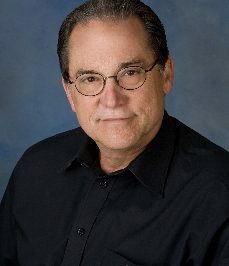 Dr. Friedberg is the developer of propofol ketamine (PK) technique in 1992 designed to maximize patient safety by minimizing the degree to which patients need to be medicated to create the illusion of general anesthesia, i.e. “no hear, no feel, no recall.” In 1997, he added the bispectral (BIS) index monitor to PK. Many in his field expressed similar sentiments about the BIS that they had about the Dinamap nearly 20 years earlier. Some enlightened anesthesiologists in the United States, Canada, England, Ireland Japan, and Australia have enthusiastically incorporated PK into their practices to the delight of their patients and surgeons. Dr. Friedberg has published several PK articles in peer-reviewed, as well as other, journals on his technique. Subsequent citations are noteworthy. Half of all published journal articles are never referred to in later articles. Dr. Friedberg’s articles have been subsequently cited in 0ver 60 journal articles. His articles have also been cited in 12 textbooks including the 2005 encyclopedic Miller’s Anesthesia (6th ed) and Barash 6th ed. Clinical Anesthesia. The Karolinska Institute is the foremost medical center of Sweden. The ‘Minimally invasive anesthesia for minimally invasive surgery’ article in Feb. 2004 Outpatient Surgery Magazine was posted on the Karolinska Institute web site. Dr. Friedberg was selected first among 40,000 US anesthesiologists to write Anesthesia in Cosmetic Surgery, the first and only textbook in this field. He is also recognized as a medical expert in anesthesia by the California Medical Board. Dr. Friedberg’s expertise has been lent to a number of peer-reviewed medical journals for review. Dr. Friedberg is a contributor to the letters to the editor section in several anesthesia and surgery journals as well as electronic discussion groups that have included SOBA (www.soba.org) and the Society for Ambulatory Anesthesia (SAMBA: www.sambahq.org) websites. He has also lectured to anesthesiologists and surgeons in the United States, Canada, Mexico, the Dominican Republic, Israel and Venezuela in addition to being Associate Professor of Anesthesia and Perioperative Care at the University of California, Irvine, Volunteer Clinical Faculty.